Thailand was recently voted ‘Best Wedding Destination’ by India-based Wonderlust magazine, according to the Tourism Authority of Thailand (TAT). Thanks to its stunning scenery, excellent facilities and a well-developed tourism infrastructure, Thailand is a popular destination for Indian couples looking to host their wedding ceremonies abroad. According to Yuthasak Supasorn, the TAT’s governor, popular Thai destinations for Indian beach weddings include Hua Hin, Phuket, Khao Lak, Pattaya, Krabi and Ranong. According to Yuthasak, Thailand’s proximity to India is one of its key attractions. Thai hospitality, the array of beautiful wedding locations and a variety of excellent international cuisine all play a part, too. Plus, Thailand’s ability to serve all wedding needs is a key factor in its appeal to couples across the world. Khun Yuthasak also revealed that Thailand’s ability to combine modern excellence with traditional flair is a key factor in its success as a sublime wedding destination. This is particularly true of the Kingdom’s many luxury private villas, where growing numbers of couples from across the world choose to tie the knot each year. Modern amenities work hand in hand with traditional Thai flair to create a stunning wedding venue that guests will not be able to forget. While couples that opt to host their ceremonies in one of the Kingdom’s hotels can choose to incorporate an array of personal flourishes, those that marry within a private villa have carte blanche when it comes to planning their big day. Many villas are associated with professional wedding planning agencies that work closely with the villa manager, to do all the intricate planning work before the big day. In addition to organising the ceremony, decorations, entertainment and catering, they will be able to assist the bride and groom with the necessary paperwork, too. 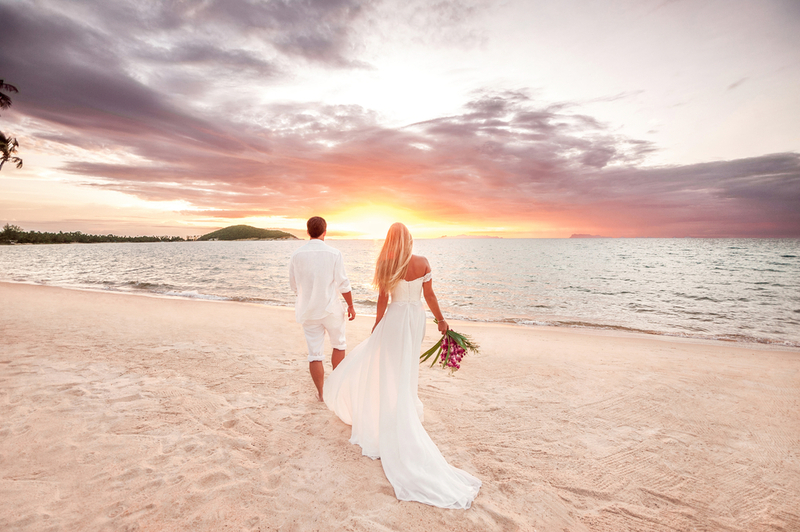 Koh Samui and Phuket – both popular destinations for tropical weddings – are home to a number of luxury private villas. Ocean vistas, direct beach access and spacious communal zones are common features that make these properties so well suited to large or small destination wedding celebrations.